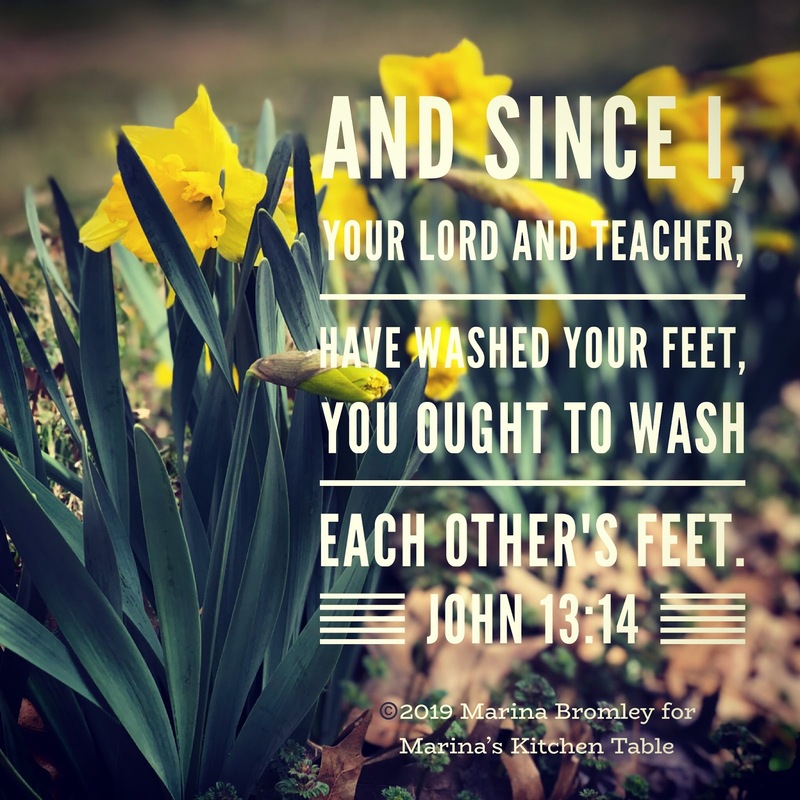 I love the symbolism of Jesus washing His disciples feet and the example He set for us, but outside of a few wedding ceremonies and an occasional service at church, I don’t see that happening as often as it did back in Jesus’ day. Sure, we wear shoes, our roads are paved and sidewalks poured, and eeew, people’s feet can have all sorts of icky things that can be spread—it’s easy to justify why we don’t often wash feet these days, but does this mean we toss out the significance of serving one another? Nope! There are likely a handful of other ways we can serve each other every day. Parents do it inside the home (and work!) every day, providing for their families. We use current societal manners, like holding doors open, or gathering our neighbors trash cans from the curb and pulling them up to the house. We offer to loan tools and assist with small jobs. Maybe we share meals when folks are under the weather. I’m sure we could come up with a good list of ways we can serve each other daily, but the significance of washing feet shouldn’t lose its’ place in modern biblical teaching. 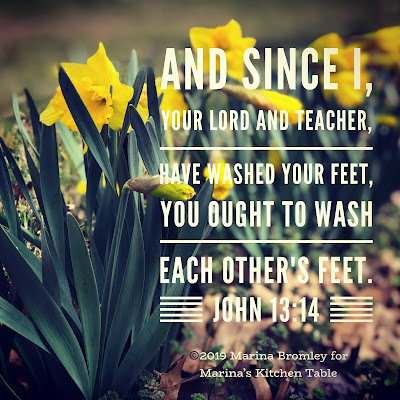 Yes, it may be gross to think about, but the physical act of lowering yourself below your brother or sister in Christ, to loosen their shoes, remove socks, and tenderly wash their feet can also be a beautiful act of humility and love. Have you ever been a part of a foot washing? How did it make you feel?